There are a variety of hubs on the market for people who have smarthomes. Those hubs are specialized to coordinate with the products that make up your IoT. You need another device if you want to make use of a digital assistant, a smartphone for calls and a computer for games and music. SmartBeings puts all this together - and more - in WooHoo. 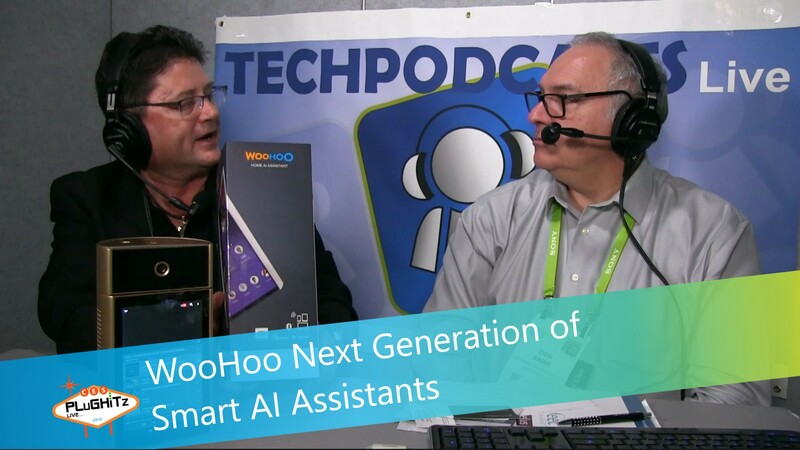 Don spoke with Joe from SmartBeings at CES 2018. WooHoo is the first truly artificial intelligence smarthome hub; it is the next generation of AI assistants. The device can identify users by facial recognitions through its HD cameras, and through voice authentication based on voice print. This allows WooHoo to differentiate between users. The camera has motion sensors that will allow it to turn 360° to face a user that is behind it. It also has an infrared camera inside it for low light situations. The devices knows who you are based on information stored within the device. WooHoo also has a smart hub inside it what has Wi-Fi, Bluetooth, Zigby and Z-Wave, as well as 4G LTE. You can hook up your HDMI TV to WooHoo. It is also possible to surf the internet on Woohoo. You can communicate with WooHoo verbally (like you would with other digital assistants), through its dashboard or with a gesture. WooHoo will be on the market in April of 2018. You will be able to purchase it through most phone companies.